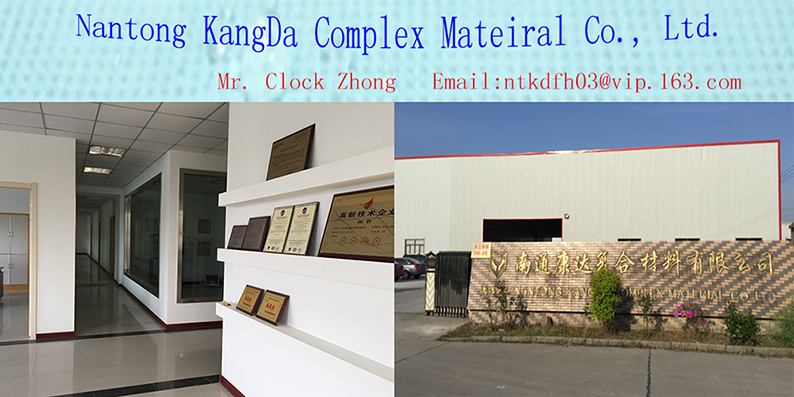 Nantong KangDa Complex Material is a Joint-Venture company,devotes to develop vaired kinds of composite non-woven fabric. The breathable roofing membrane is our company's main product. We have advanced technology and quality control of the breathable membranes. After more than 12 years of development, our company successfully exported our membranes to Europe, North American and most of China's market, known as KangDa brand or Fedebon brand. Annual production capacity already reaches 60 million square meters, and we are the in factory in China can produce 3meter width breathable membrane. Besides Breathable membrane, our company produce kinds of nonwoen fabric. Such as PP spunbond nonwoven, PE film lamianted nonwoven, SMS medical nonwoven,and composite nonwoven fabrics, for roof/wall insulation, packing ,protective and auto industries. Serious quality control is our advantage, long term cooperation is our goal to persuit.